#40. 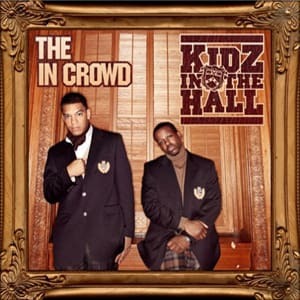 Kidz in the Hall "Drivin' Down the Block (Low End Theory)"
Although producer Double O is from Brooklyn, many consider Kidz in the Hall to be a Chicago group (probably to the dismay of Double O—ha! ), as their frontman, Naledge, hails from the Southside of the Chi. After leaving Rawkus for Duck Down in '07, the duo rose to prominence after this Masta Ace–assisted single (Ace actually re-recorded his line from "Born to Roll" so Kidz wouldn't have to pay for the sample) caught on like wildfire. The record came at the right time, as this hard-hitting throwback track was the sound that was popping in Chicago. What else could a brother to do other than support this?